Author’s Note: This post like all the ones pre-dating 2013 were pulled in from my old blog. As such, screenshots that were meant to expand full screen now only have thumbnails. I’ve been using .Mac for a couple of years and was transitioned into the new MobileMe service when it launched. I purchased an iPhone 3G about a month after it was released, and am on the AT&T network now. When I originally set it up, it was working really well and I’ve recommended it to friends and colleagues. 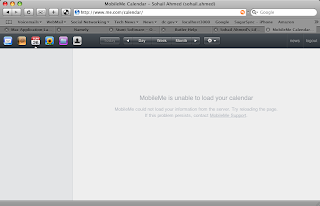 In early September 2008 though, things went awry, and everything stopped syncing well, the MobileMe website didn’t even work for me in all aspects and it’s been a general mystery on how to solve it all. So, I’m writing up my experiences here to pass on to MobileMe support so that they’ve got a holistic picture with which to troubleshoot and make recommendations. 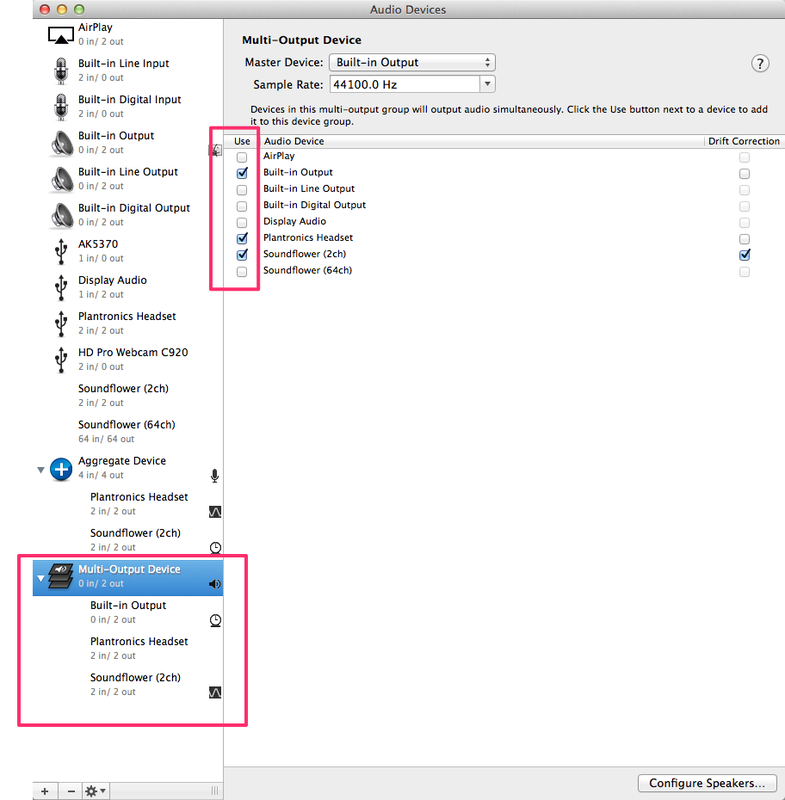 My computers/devices that participate in the MobileMe sync eco-system are the following. Note that all systems are running with the latest updates/service packs and all the Macs in my system are on the latest Leopard release. All of the machines are Intel based. Login: Works fine. I go straight to Mail. Mail: I don’t have more than a dozen messages on my me.com email, so no real problem loading the page there. Contacts: I have about 700+ contacts. This page loads okay, but soon after, it becomes utterly useless. The search box is totally unresponsive. If I scroll up and down the contact list, I get a blank column where I’d expect names in alphabetical order. I can scroll slowly and get some names to show up, but Safari is unresponsive when I try to select a particular contact to see their details. Clicking on any of the groups is also pointless. 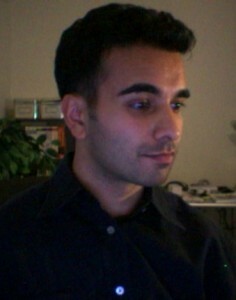 I can however, open up another tab and go to Digg.com for example. And I’m using Safari on an octo-core Mac Pro. The me.com site is now completely unresponsive. So I’ll close out the browser and restart before going to Calendar. Calendar: It says it is loading events, and it does show my calendar groupings in the left margin. After about 90 seconds of “Loading events…” with the rotating spoke wheel spinning, it displays a calendar with no events. Last week, I couldn’t even get the calendar to render! Photos: This piece I use the least and it works very well (snappy). I have three small albums in here, and this part of the site is very responsive. iDisk: I don’t really use this, but flipping through the stock folders it provides seemed snappy. Account: The account management screen loads up fine. Selecting the various options, the page is responsive. And these are the two things I rely on MobileMe for the most!The screen shot below shows how the middle Contacts pane can easily loose itself to never never land when scrolled. And I’m using Safari on Leopard! I did contact MobileMe Chat based support and they suggested I “Reset Safari”, which I did. No change in symptoms. Now let’s turn to how my Macs fared. My various Calendars and Contacts are in tact and working fine on the desktop. I see that MobileMe is syncing every so often, but that seems normal. The sync wheel in the menu bar will turn for a while and then stop. All seems good.Since I can’t reliably access any Contact or Calendar on the me.com site, I can’t tell if anything is actually syncing. In mid-September my Mobile Me started going on the fritz. Specifically, it stopped syncing with my iPhone and Mac Pro generated calendar events and contacts (both ways).I noticed the Mobile Me sync icon in the menu bar was syncing continuously. It never seemed to complete.I searched the Net for solutions. I finally found an article that suggested I blow away my /Library/Application Support/SyncServices folder. I did this, restarted, launch iSync to coax the system to rebuild this folder and now MobileMe seemed to have my laptop communicating with the cloud.MobileMe asked me what it wanted me to do. I told it to replace everything on the computer with everything available from MobileMe.Several hours later, I’d get the same sync conflict prompt, to which I’d give it the same preference. This happened for days until I finally decided to log out of MobileMe on my laptop. For my Windows virtual machine, I thought, “Wouldn’t it be great to have my contacts in Outlook and bookmarks synced to Safari on Windows?” So I set that up (applying the latest Apple Software Update of course). Initially, this worked out really well. 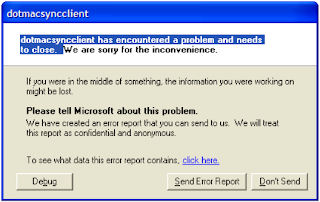 But around the same time my Macbook Pro stopped syncing with the cloud, my Windows installation of Mobile Me kept running into problems.The screen shot below illustrates the “dotmacsyncclient has encountered a problem and needs to close” message that pops up about once every hour when in Windows. Since my iPhone stopped syncing, I blew away my MobileMe account from the phone and recreated it from the phone. It was set to have Contacts, Calendars etc., all pushed to my phone.When I first got my iPhone, I went through this process successfully.But now, there’s no over the air sync going on. Nothing is getting pushed to Contacts or Calendar. It’s completely blank.Not sure what to do next. Are you moving off a computer that’s not going to be yours any longer, such as one at the office? Do you have a mixture of personal email and personal address book contacts in Outlook at work that you need to both back up for keeping with you as you move on and removing from the source at work? Here’s how. First, it’s worth noting that Microsoft Outlook stores all the email, address book, calendar and memo information it has for you, in one file: the outlook.pst file. Generally, it moves older contents (old emails, old tasks, old appointments) automatically to another file, archive.pst. Both of these files are usually found in the same directory. Copy your outlook.pst and archive.pst to you external/portable back drive. Open Outlook on your office computer and through Microsoft Outlook, select all of the emails and contact entries you wish to remove. You may wish to select them all and delete. That’s your call. Delete the archive.pst file on your office computer. Empty your computer’s recycle bin. Close Outlook and restart it to be sure the stuff really does look like it’s gone. To access the contents of your archive.pst and outlook.pst from Outlook on your home computer, have your home version of Outlook (should be equal or later version than the one at the office) open the PST file from your external hard drive (you may wish to copy it over locally first, your call). The guidance for that is here. To start, one should know that there are two basic methods of accessing your own email system from anywhere on the Internet (home, office, wherever): web based email (i.e. through a web browser) or via a desktop client program (Outlook, Outlook Express, Thunderbird, Mail.app, etc.) using POP or IMAP protocols. Let’s tackle the first and simplest case: web based mail. This is offered by companies like Google, Yahoo!, AOL and so forth. Google’s mail (known as “GMail”) is generally the more popular, so we’ll discuss that. If you use the gmail service, you are likely pointing your browser to http://www.gmail.com. Since this is using “http” instead of “https”, your browser interactions are not encrypted. The IT staff in your company could conceivably record all network traffic in and out of the office and read all your received and sent messages. So, access the gmail service using the secure http protocol: https. Google has a few URLs that redirect to how they’ve setup gmail, so the URL I recommend you use (as it works for me) is: https://mail.google.com/mail/. The way to use this is to create a bookmark for exactly this URL in your browser. If you computer’s login (e.g. your Windows login to the machine at work) can be compromised, I recommend that you do not have your email password to gmail remembered by your browser. Yes, it’s more convenient to have it saved/remembered, but it is safer to not set it up this way. Now, by accessing gmail through https, everything you do on that site is point to point encrypted between your browser and Google’s data center. That means that your IT department only sees a bunch on scrambled nonsensical encrypted data packets flowing back and forth. Your personal email is private. If you use an ISP’s given email address (say, that given to you by Verizon, Rogers or what have you), I recommend you transition over to something that you can keep regardless of what service provider you have. That is, make gmail your primary, advertised email address. Just because Rogers provides the Internet pipe into your home, that doesn’t mean your personal email address needs to be branded with them. Next, since this transition is generally exactly that, you’ll be happy to know that you can configure gmail to retrieve your other email (mail from other, existing email accounts), and bring it into your gmail inbox so that you only have one place to check (gmail). In doing this, it also allows you to set the “sent from” address when you compose a new message, as if it came directly from that other email address you used to use. In this way, if you wish, you can completely abstract from others, the fact that you’re using gmail (which is only really of value to those folks with custom/vanity domain names). My advice though, would be to send out a mailing to your personal contacts indicating you can now be reached at your new gmail address. Of course, if you’re using something like Plaxo, this can be a semi-automatic notification. Just got a new Mac? Congratulations. Here are suggestions on loading it up with stuff that’s useful and works. I’ve spent hundreds of hours in tweaking, evaluating and configuring, so these suggestions have been through real trials! Google Browser Sync for Firefox. Who needs .Mac when you can sync your bookmarks for Firefox across multiple machines? FireFTP – FTP client for Firefox. Yes, it’s good and its free. Adobe Reader – I know, you already have Preview.app, so why Adobe? For long online reading sessions, this app just has some nicer features and a better search / TOC interface. Adium – A multi-chat protocol IM client, with growl support. Handbrake – lets you rip your own DVDs. Handy for serving them up to yourself of your RAID array in the basement, exporting them to your own iPod for mobile viewing, etc. VLC Media Player – Plays a lot of video that Quicktime won’t. Real Player – Yet another media format you need, for stuff like TheServerSide.com or npr.org. Journaler – A powerful journaling tool with smart folders, tagging and just phenomenal idea capture. It’s only weak spot is robust export to external blogs (for that, MacJournal is best). SharePoints – lets you set up file sharing (shared folders) like on Windows, as otherwise, it is actually very complex/locked down on the Mac beyond the “Drop Box”. Acquisition – $20 for a great P2P client that’s been a stalwart in the Mac community. Knox – $29 for locking whole folders with AES128 bit encryption and seamlessly unlocking them to mount as temporary volumes. Why do you need this? You can’t have all your sensitive data in your own login or accessible to Spotlight. We never logout when someone needs to quickly use our computers. That however, doesn’t mean our most sensitive files should be accessible. There should be another encrypted, password protected tier. That’s what Knox gives you. MacJournal – $35 for a great way to publish to external blogs. Even lets you embed sound and images, and it handles the upload of these too. BBEdit – $125 for a professional HTML and text editor. Actually, I now like TextMate better. It’s only $49 and it’s the defacto light weight editor for people doing development with Ruby on Rails on a Mac. OmniOutliner Pro – $70 for a great hierarchical (outlining) tool. Embed URLs, media and other such. Use custom styles. VMWare Fusion – $79. This is far more polished than Parallels. Increasingly, Parallels users are blogging frustration and lack of good customer service/support. I’ve also found VMWare Fusion is more reliable and also quite slick. See this video for a taste of what it can do. Note that with only 2GB of RAM in your system, set your Windows XP virtual machine to have 512MB of memory. I’ve found that if you give your Mac any less than 1.5GB, you’ll run into a major slowdown on the Mac side too. Half a gig seems to be plenty to fire up Microsoft Word to do some strike precision word processing while not crimping your Mac style. If you have 4GB of RAM, I’d then recommend setting your virtual machine to 1GB, leaving 3GB for your Mac. Remember, set this size right the first time and as few times as possible, lest Windows refuse to re-activate because your “configuration has changed”. IntelliJ IDEA – $249 for hands down, the most sophisticated Java IDE, for you fellow developers out there. Splash ID – $29 This is a must have for storing sensitive data like credit card numbers, family SSNs, bank accounts, serial numbers, web site passwords etc. The beauty is, that it lets you sync with a device like your Treo or BlackBerry. The desktop version and handheld version are password protected with your master password. Oh, and it’s Blowfish-256 bit encrypted. ‘Nuff said. Missing Sync – $40 For syncing your device (especially Palm based) with your Mac. Why pay for syncing to your Mac? Unfortunately, the device makers generally have shoddy and incomplete conduits in this regard. The Missing Sync is built by Mac users for Mac users and it doesn’t just do the basic address book and calendars, it’ll sync playlists from iTunes, captured photos into and out of iPhoto and so on. It brings under one umbrella, all the conduits you use in syncing and you set up profiles of subsets of conduits you want to sync (which you can fire off with little ceremony). Spanning Sync – $65 lifetime one-time fee. Lets you sync iCal with Google Calendar. Why? Because .Mac, even if you have it, has no web based view of your calendar! It only syncs iCal between actual Macs. On the go, without a Mac, you’re screwed! Plus, Google Calendar rocks and complimented by iCal and Spanning Sync to go between them, it’s a rock solid calendar syncing solution. Flickr Export iPhoto Plug-in. – $25. A slick iPhoto plug in that’s much more intuitive than the free alternative, which is Flickr Uploader for the Mac. iWork 08 – $79. The Word compatibility isn’t perfect, but it’s decent for basic documents. I’m just waiting for Office 2008 for the Mac next year. Switching to a virtual machine for word processing ties up system resources, so this is the best Mac option at present, unless you already have Office 2004 (but that runs slowly with Rosetta). If you don’t need to do precision fine tuning, this will work well for Word documents. For the real surgical word processing, you’ll have to wait for Office 2008 or use VMWare’s Fusion. I believe Office 2004 is so slow, it’s best to use a virtualization option! I like Numbers too, from what little I’ve used of it, and Keynote has already proven itself. ChronoSync – $30. Very cheap for what you get. A powerful backup program that can store multiple old versions as archives, schedule backups, auto-login to mounted volumes etc. Use the Apple provided applications. By using Mail, Address Book and iCal, you get the best integration with various other tools and syncing services. For example, I use Mail instead of Thunderbird, because I store all my mail on an IMAP server. Having Apple Mail’s smart folders just rocks. Thunderbird can’t touch it. Stay away from this. Plaxo works phenomenally well on Windows with Outlook 2003 on various machines and online. However, if in that same mix, you add a Mac, and say, sync with your Palm based device too, the insertion of Plaxo for Mac in that scenario screws it up. You’ll have major data headaches. And, it’s just contacts. No Calendar, no Notes, no Tasks. Plaxo just doesn’t have the development resources to make this work robustly. I was able to recreate problems on demand consistently, and so decided to give up when their support said, “we don’t see the problem”. I was going to send them a screencast, but they just can’t pay me enough to put all that time into debugging their product. And I was a Plaxo VIP customer that year. Go figure. That being said, there’s a new Plaxo 3.0 available for private beta that is claiming Address Book, Calendar and Mail syncing. I believe the latter is just mail signatures. 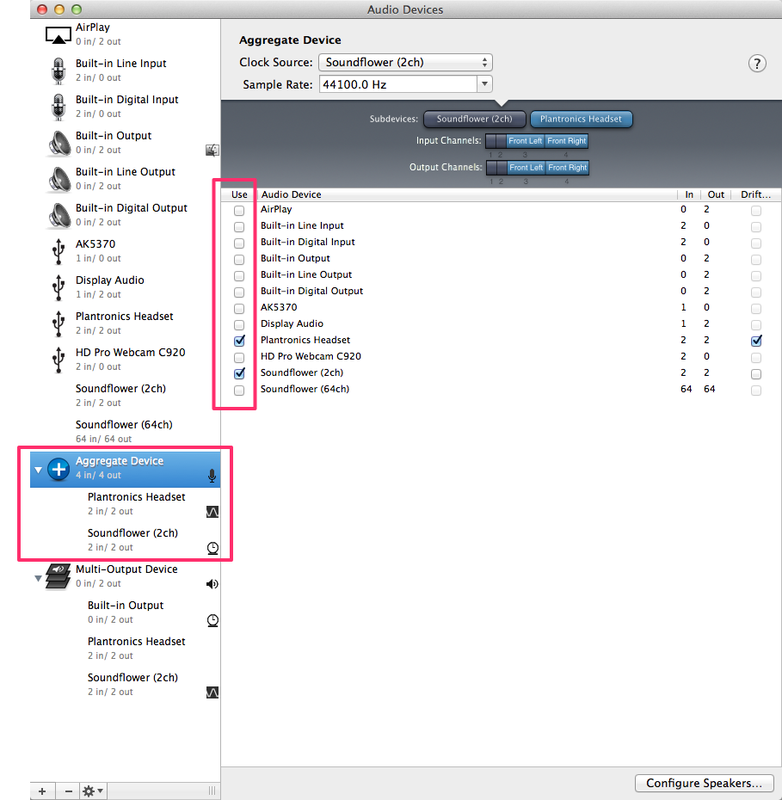 A great review of Plaxo Pro 3.0 on a Mac includes a contrast with SpanningSync. I actually have this, because I wanted sync from one vendor. The Internet and my Mac(s), I thought. Perfect. I’ll forego syncing with Outlook at a client’s office. No problem. 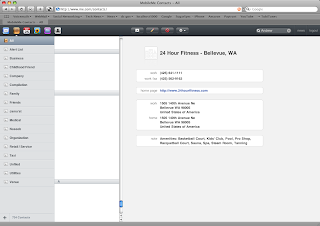 However, the Address Book (web version) on .Mac doesn’t even show me contact notes! It misses, routinely, fields like email addresses. Apple…this is not voodooo science! Apple needs to improve .Mac. Right now, there’s no online calendar, so SpanningSync to sync to Google Calendar is the only reliable option. Yes, .Mac is getting better. IMAP support on the Mail client for the web is slick. If they just let me do a “send as” to make my mail appear from my own domain instead of my @mac.com address, I’d be set. I’d gladly pay for more storage about put all 12GB of IMAP mail up on their servers. I’ve already sent them feedback to apply this feature. Let’s see what happens. So many lifehackers out there are looking for the holy grail of slick online web interface to email representing IMAP folders they also sync with on desktop clients. Yahoo! Email online is beautiful, but the folders are not IMAP analogs – email is just organized on Yahoo! itself. Same with GMail. Those folders and labels mean nothing re: IMAP. So, Apple is close. Give me personalized outbound email on the web client. Full Address Book syncing that is robust, custom fields and all. A web calendar so I didn’t have to pay for spanning sync (or partner with them and pull in Google Calendar in some way to the experience). Will I get .Mac next year? Not sure. Syncing stuff between Macs is so useful and seamless. The webmail that’s all IMAP is near nirvana. iDisk for backups of key files is slick. Let’s see what revs .Mac gets this year. If you just got a new MacBook Pro (the ones released in Summer 2007 or later), you can pop in a total of 4GB of RAM. As a $750 upgrade from Apple, I don’t recommend you do this. As a $269 upgrade (third-party), I do recommend you do that. If you are going to run any kind of virtualization software, you will chew through RAM. So stock up. The holy grail of bookmarks synchronization has arrived! I googled for “bookmarks sync” hoping there’d be an update to this old Firefox extension for such. To my delight, Google has put out a marvelous one. Check out the Google Browser Sync tool. I did it between WinXP and my Mac and it worked flawlessly!